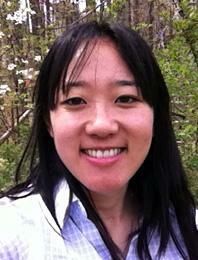 Ryoko Oono is an evolutionary ecologist focusing on plant-microbe interactions. Dr. Oono earned her BA degree at Carleton College and her PhD in plant biology at the University of Minnesota where she studied the evolutionary stability of the legume-rhizobia symbiosis. As a postdoctoral fellow of NIH’s Molecular Mycology and Pathogenesis Training Program at Duke University and NC State University, she studied foliar fungal endophytes and their relationship with pine hosts in southeastern U.S. Research in the Oono Lab is focused on understanding how symbiotic associations evolve, particularly between plant hosts or communities and bacterial or fungal microbes. Her lab uses observational approaches with various genetic tools (population genetics, community genetics, systematics, biogeography) as well as experimental approaches by manipulating microbial phenotypes, microbial or host communities, or the environment. Model systems currently studied are the ecologically important legume-rhizobia symbioses and the ubiquitous and highly diverse foliar fungal endophytes found in all major lineages of plants.